A cutting-edge metal printer is quickly positioning the Northern Territory at the forefront of advanced metal manufacturing. Located at Charles Darwin University (CDU), the world’s first commercial LightSPEE3D metal printer has successfully produced a copper flywheel in a fraction of the time and cost the metal manufacturing industry is currently capable of. It took the printer just 11 minutes and 38 seconds to produce the flywheel at a cost of $4.60, demonstrating its capability to generate low-cost metal parts at speeds that could revolutionise metal manufacturing. The 3D printer is the centrepiece of the new industrial transformation research hub for advanced manufacturing in the Northern Territory, known as the Advanced Manufacturing Alliance (AMA). The AMA – an open alliance founded by the Darwin-based start-up company that invented the printer, SPEE3D, and CDU – aims to build a user base through local and global business members, and to collaborate with global research networks in advanced manufacturing. Mr Steven Camilleri, co-inventor of the technology, said the multi-billion dollar metal manufacturing industry was currently reliant on mass production techniques that are slow, inflexible and expensive. “Lead times from design to first prototype are long, often taking months, and prototyping is expensive because of the need for specialised tooling and design-specific moulds,” Mr Camilleri said. He said that while traditional 3D metal printing had improved simplicity and immediacy to the manufacturing process, the casting industry was lagging behind because the technology could not deliver the required speed and uniformity in strength and shape. “SPEE3D has produced and patented a truly innovative and transformative advanced manufacturing technology,” Mr Camilleri continued. 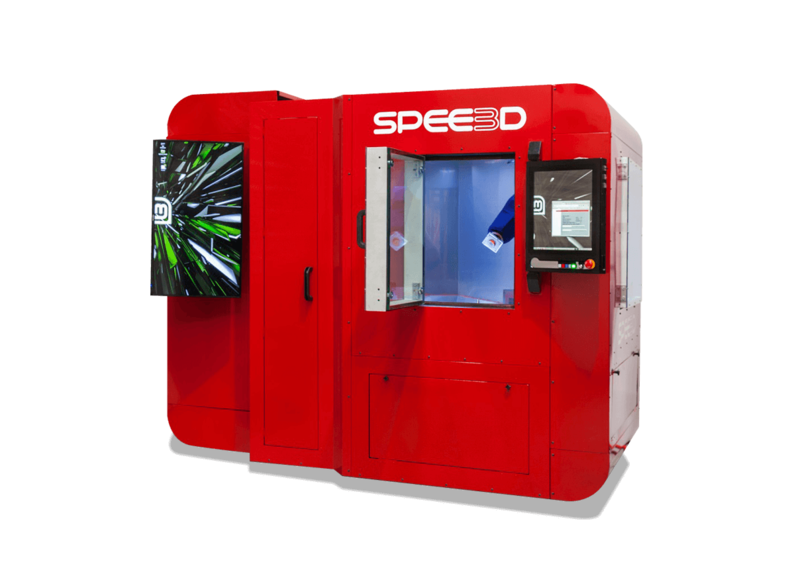 CDU’s Deputy Vice-Chancellor and Vice President Research and Research Training, Professor Lawrence Cram said the AMA will engage in developing applications for the SPEE3D’s high speed metal printing processes that will enhance to Australia’s capacity in advanced manufacturing. “The AMA hub will accelerate research to assist with commercialising the technology, and also will launch new training programs,” the Professor said. According to him, defence, aerospace, automotive and healthcare could also benefit from the technology. “Our work at the AMA will place the Northern Territory at the forefront of advanced manufacturing in metal,” Mr Cram concluded.